1. Thank your donors for their past support. 2. Show donors how they’ve made an impact. 3. Explain why you need more money. The beauty of asking for the upgrade is that it will help you validate the donor’s credit card information as well so that will help with your retention. A combination of email, mail, and phone works best; and you can do all of the above. Base the ask on what the donor has given. In other words, if they’re giving $50 a month, you could try a $10 or $15 a month upgrade. If they give $5 a month, you could go for $1 or $2 dollars more. The one-third rule tends to work well here. One word of caution! I know there are some organizations that started the automatic upgrade practice, where they literally upgrade the donors’ gift with $2 or $3 dollars a month, and then just send the donor a letter that this is what they’ve done. This is not what the donor signed up for. PLEASE, PLEASE, do not consider this practice, even with the use of fine-print. All it takes is one donor who gets so upset that it could damage our whole fundraising world as we know it. Trust me; you’ll actually raise more money if you ask the donor what they’d like to do. Let’s always think about the donor! A monthly donor trusts you with their information, so let’s keep that trust. Ask for an additional gift. Look at your overall communication stream and see which of your appeals are most successful and perhaps even desirable for your monthly donors. For example, if you have an annual calendar, make that at least the one appeal you send to your monthly donors. 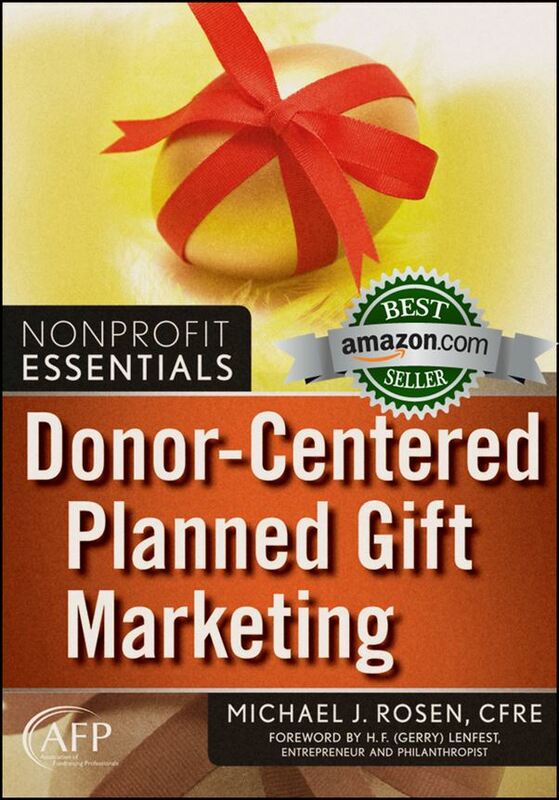 Always include a reference to the fact that you know that the donor is already giving monthly. It can be done in the letter or it can be done as a little insert or, if you’re a smaller organization, you can handwrite a personal note. I know that animal and religious organizations tend to be able to get away with sending multiple additional-gift appeals a year without a problem. Their donors just love to get every update and every story. In fact, their monthly donors tend to be the most responsive groups. For other types of organizations, the once-a-year special strongest appeal and perhaps four newsletters a year with a soft ask through a reply envelope is the way to go. And of course, special event invitations are always good. The donors may not be able to come, but they’ll feel honored to be asked. If you want to do it really right, consider a survey early on in the monthly donor relationship, and ask them how often they’d like to hear from you. You’ll be pleasantly surprised. Ask for a legacy gift! I figured Michael would especially like this one! Monthly donors are six times more likely to leave your organization in their Will. They can only make small gifts now, but they’re investing in the organization. They’re committed for the short but especially for the long run! However, you have to ask them to make that commitment. So, in your donor newsletter, put a story about a monthly donor who left you in their Will. Put a buck slip in the tax letter with the information the donor needs to give to their attorney. Include a question about leaving the organization in their Will in your online donor survey. Consider a special mailing with a specific ask to join the Legacy Society. Plant the seeds and reap the rewards down the road. All of these ways are going to make your (small) monthly donors become even more powerful, while increasing retention and life-time-value. All you have to do is ask (nicely!). Well, as you’ve seen, I take requests. If there’s a question you have or topic you’d like me to address, please feel free to let me know. 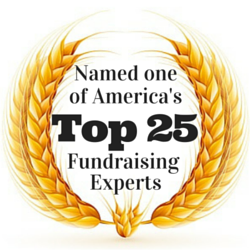 I’ll do my best to get you the answers and information that will help you be an even more successful fundraiser. That’s what Erica Waasdorp and Michael Rosen say… What do you say? Thank you for sharing these suggestions, Michael. We have also found it productive to arrange for a major donor to challenge monthly donors and offer to match the annual value of new and increased monthly giving up to a certain maximum amount. This really motivates the monthly donors to, in effect, double their increased giving. John, thank you for sharing a great idea. A challenge grant not only helps donors magnify the value of their support, it creates urgency for them to increase giving now. As always, well-researched sound advice. Enjoyed the read today and appreciate the good advice. However, I was appalled to learn that some organizations increase the donor’s giving without their permission or knowledge. An organization that did that to me would lose my support as soon as I found out, just as certain banks and other businesses have found out doing the same thing. This was really helpful and I appreciate all the suggestions. We started a monthly giving program two years ago and haven’t asked for upgrades yet because I wasn’t sure how to go about it. Thank you for the timely advice! Katherine, thank you for letting Erica and I know that this post was helpful for you. I wish you best as you seek to upgrade the support of your monthly donors. Let me know how it works for you.